Note to readers: This is NOT a passive-aggressive attack on any of our neighbors thinly veiled as an informative post. It is instead a confession of the ways the TAT family has been bad neighbors while living in a duplex that shares a laundry room. Thank you. This is our lovely school-district owned duplex you may recognize from an earlier photographic tour of Brevig Mission. We live in the north side (or left side in this picture). 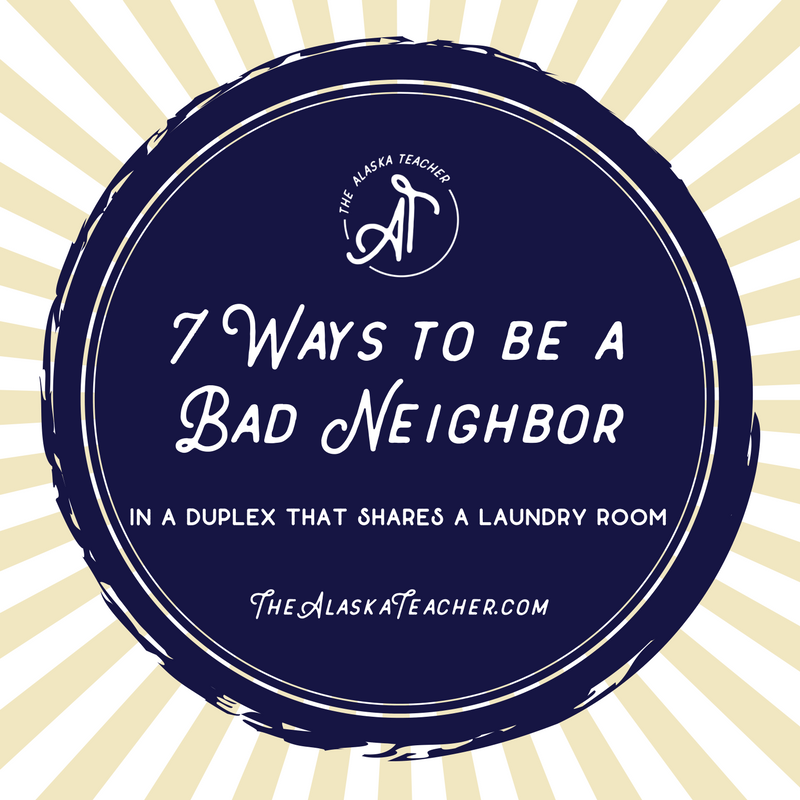 A joint laundry room connects us to the south side. Spoiled-smelling clothes are fun for everyone! Bonus points if your neighbors have to knock on your door to ask you to move them. Again forcing your neighbors to knock on the door and ask you to move them. Double bonus points if you forgot to start the dryer so they're still wet. Leave them stacked next to the washer and dryer, even though your kids are now potty-trained. You know, with important things like: pop tarts, candy bars, peanut butter M&Ms, shredded coconut, marshmallows, Boom Chicka Pop, brownie mix, whole wheat flour, cake mix, pub mix, pistachios, popcorn kernels, Craisins, and purple streamers. Note to readers: I will literally send a prize to the person that most accurately guesses which of the above items Steve ordered and which I ordered. You're welcome. Have exactly five cases of pasta sauce in the storage space across and kitty-corner from the washer and dryer. Ditto the Subscribe and Save problem with lemon juice, lime juice, and coconut milk. The heading kind of says it all. 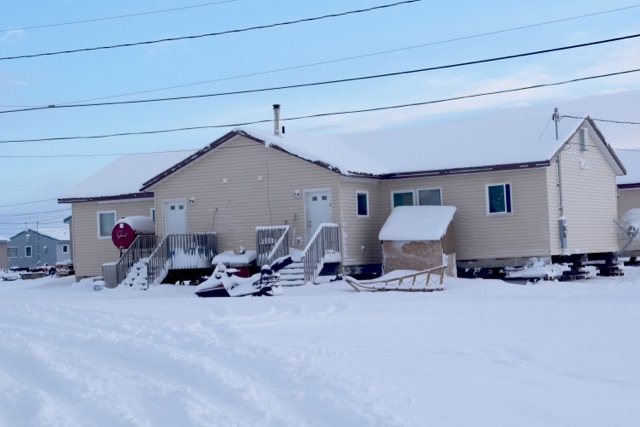 Note to readers: kunitaq is an Inupiaq word for Arctic Entry or an entry way designed to keep the snow and cold from reaching your actual front door. Note to Inupiaq readers: feel free to correct my spelling of kunitaq. Taikuu tanni! We tried. We really did. But the pleases and pleading were not enough to put the Fear of God into them regarding the opening of the kennel and resulted in the neighbors having to chase their dog around town. 🙁 Remember the song "Who Let the Dog(s) Out?" I know the answer now. It was Kaitlyn and Levi. Angie-peanut butter M&Ms, shredded coconut, marshmallows, Boom Chicka Pop, brownie mix, whole wheat flour, cake mix, popcorn kernels, Craisins. You know we all ‘bout dem prizes! Well, it took me a moment to find the definition of kunitaq (SHED). Wonderful article and it kept me smiling.